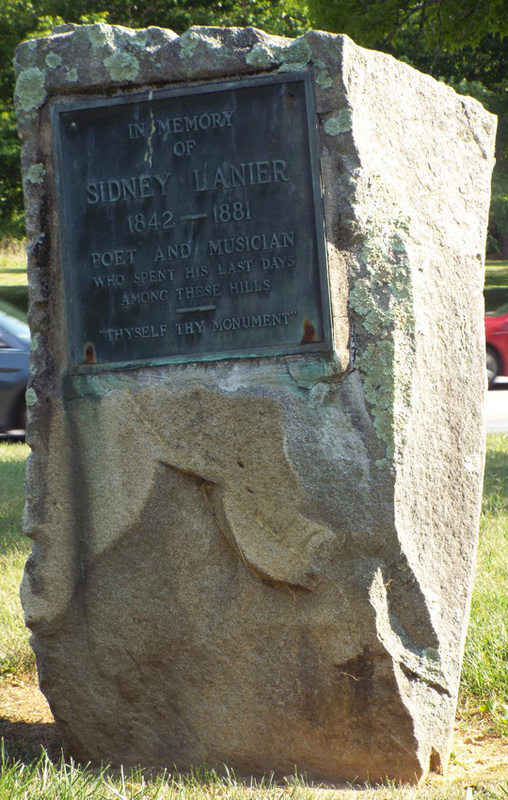 Rear: ERECTED 1928 / BY THE / SCHOOL CHILDREN / OF / LANIER’S BIRTHPLACE, / MACON (BIBB COUNTY), G.A. 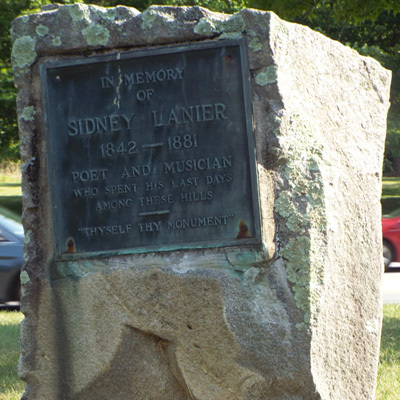 Sidney Lanier was also immortalized in stone at the Duke Chapel in Durham as one of the three “Great Men of the South.” He was a widely acclaimed poet, musician and author. Originally from Georgia, he spent many of the Civil War years in North Carolina before being captured in 1864 while serving on a blockade runner. He acquired tuberculosis in 1865 and finally succumbed to the disease in 1881 shortly after moving to Lynn near Tyron in Polk County where a marker was placed at the house where he died.